The George Starkey Hut in The Lake District provides premier, bunkhouse style, accommodation managed jointly by ABMSAC and the Alpine Club. To request a booking go to online booking These beds, all bunks, are are in 2 dormitories: “Men” (14 beds) and “Women” (6 beds). The Male/Female segregation is optional and up to the discretion of the Booker. The “Members Room” has a further 8 bunk beds which can be booked online by members of ABMSAC and the Alpine Club. For potential bookings which may include under 18’s – please see “Safety” page. 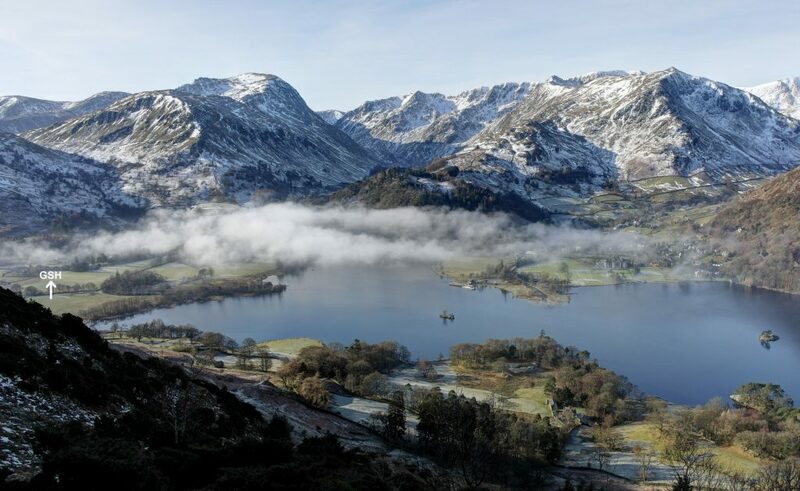 There are excellent opportunities for walking, scrambling, rock and winter climbing, fell running and mountain biking, directly from the door and further afield, and water sports on Ullswater. See more info in about and local services. Webmaster: Ian Mateer, asst Webmaster: Mike Parsons. GSHL Company Sec: James Baldwin.